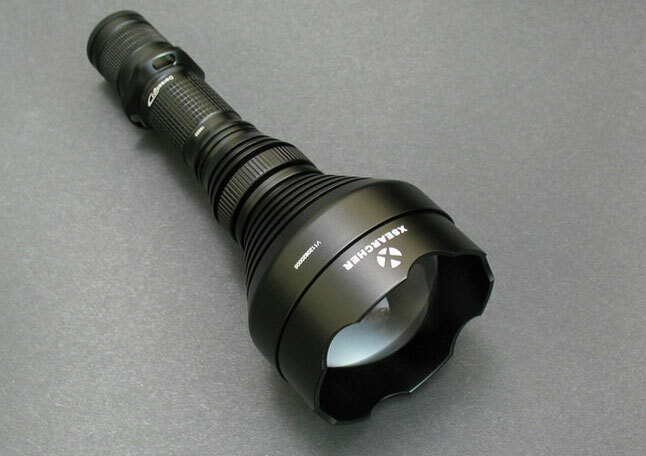 The Dereelight range of torches are ideal for hunting and shooting situations, the Nightmaster beam can pierce through night out to a staggering 800 metre and the X-Searcher with its larger aspherical lens even further making identification and long range shooting easy, a remarkable feat for a torch of this size in comparison to alternative gun mounted systems. 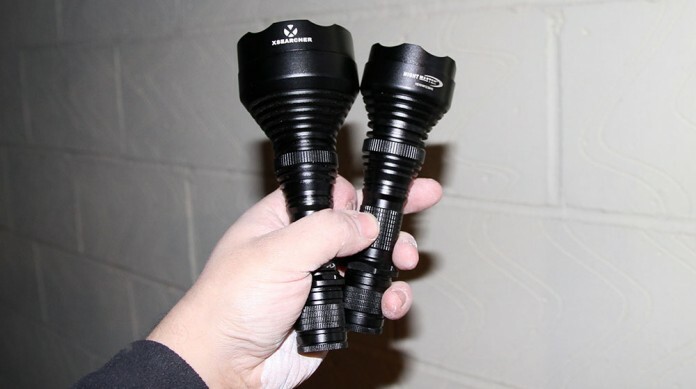 They are available with white, green, red, yellow and IR led’s, and single or dual mode battery drivers, these being the XR-E which throws further and the XM-L which has a slightly wider beam. 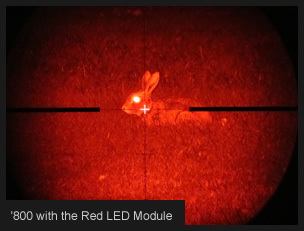 The Dereelights ability to throw a long beam is aided by a designed aspherical front lens, which concentrates the led’s light output, by utilising coloured LED’s minimum light transmittal is lost compared to filter based alternatives. 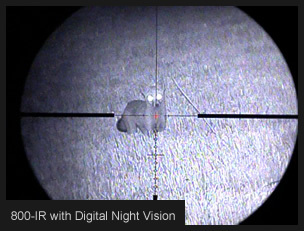 An extension tube can be used to give longer runtime and greater power output from the dual mode driver, featured in the Nightmaster 800 and X-Searcher. The torch is powered using one or two 18650 batteries. 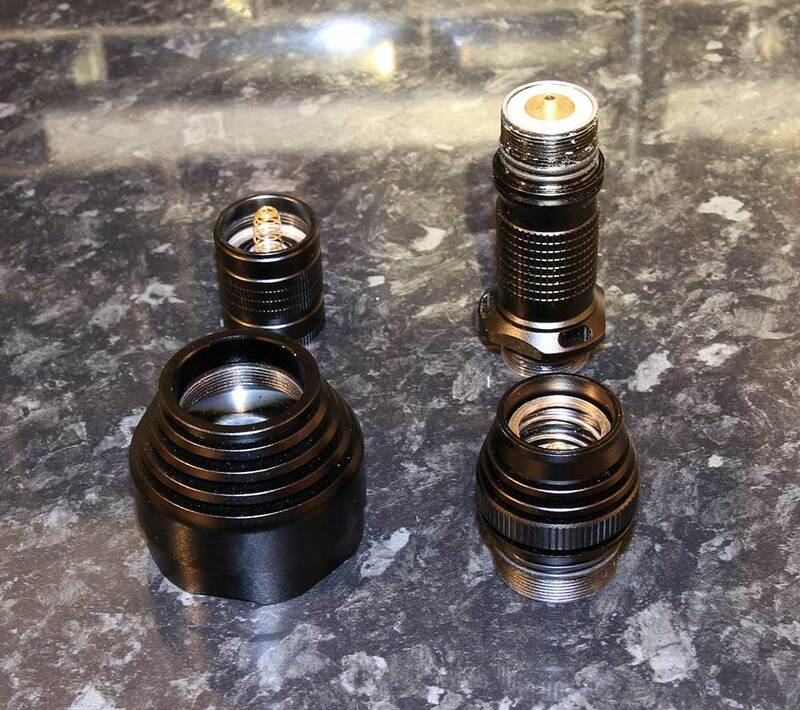 The beam is fully adjustable from spot to flood by rotating the torch head, also power output can be adjusted to suit your needs, from low, medium and high output, this is achieved by adjusting the body section and cycling through using the on/off button, your selected power can then be locked if needed, as the torch utilises a memory function. Versatile ability to interchange torch units. 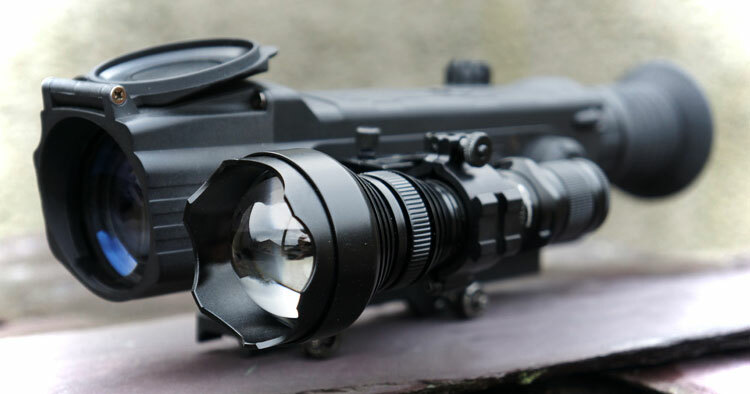 Nightmaster 800 fitted with extension tube. Looking at the Nightmaster 800 and the X -Searcher its clearly visible the X-Searcher has the bigger aspherical lens, although the internals and body are the same, the larger lense on the x-searcher gives you the edge for that little bit more light throw, if you crave it. For shooting, the units are compact, and powerful, there small size and battery life compared to available units from only just a few year ago, with less power output, battery life and weighing four times as much, makes them even more desirable, and the ability to easily swap emitted light colour and even add IR for night vision just adds to the appeal of these units. Flashlight Hut does not ship to U.K, Germany, or Australia.